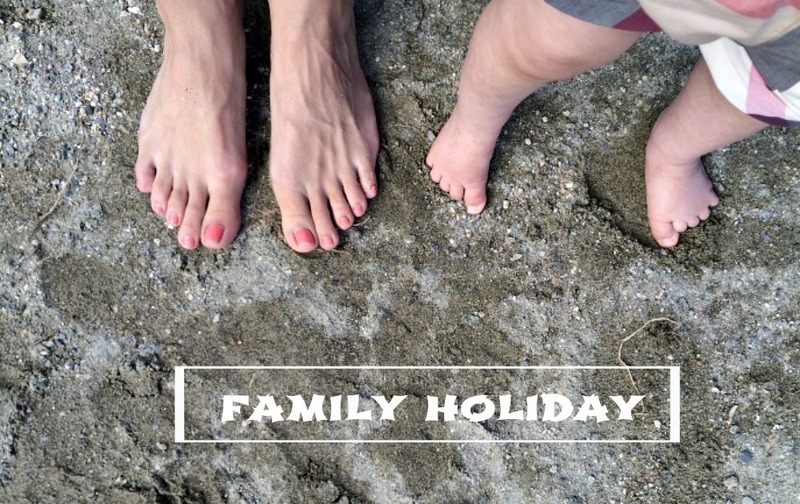 Are you planning a family holiday soon? Take a look at these top tips first before booking your next trip especially if you are new to travelling with children. We are an expat family and we travel a lot with our two young toddlers in tow. I have often travelled across the world with both of them, solo too. I know, crazy right? 26 hours later I think I became a pro at travelling with children and every scenario that can happen while travelling with kids has happened to us once or twice in the last four years. We have experienced many different ways to travel too and know what works best when doing so with children. 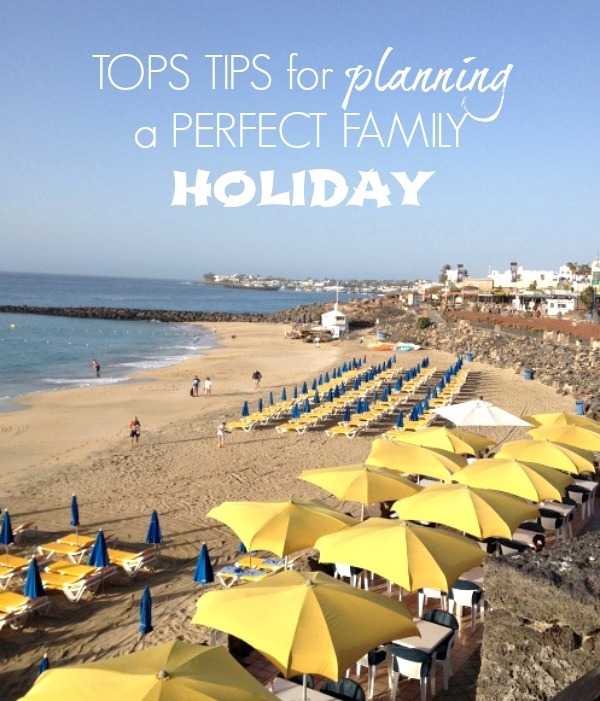 So I thought I would share with you my top tips for planning the perfect family holiday to leave you at ease to enjoy your holiday as a family together. Picking a destination and hotel. When picking the perfect destination and hotel for families, think in terms of your children first! Yes, it’s all about them when it comes to this because they hold the key to your holiday going smoothly and fun. Think about the weather where you want to travel and how the kids at their age will cope with that. A skiing resort makes a great family holiday but maybe not with a newborn. A boutique hotel is trendy and lovely for couples but sometimes can be noisy for little ones and vice versa your little ones can be noisy for the next couple. A family friendly hotel is a must and they will be able to accommodate your children almost as much as you do at home. From cotbeds, bath toys to sterlisers and more you will be surprise what they have in stock for you to use if needs be. Activities/Entertainment for the whole family. Another perk of choosing a great family hotel and child friendly destination is that they will have numerous activities and entertainment available for you to book. Huge advice: book these in advance and if there are options to pay to skip the long lines or waiting do so, book it. Children are never good at waiting long for anything no matter how exciting it is at the end of the line. Choose a variety of things to do on your holiday but make sure you don’t do too much each day. If it’s a sunny holiday that alone can tired out your children and yourself and adding activities, everyone can become restless and cranky. Spread out a few activities and a few entertainment events throughout your holiday and allow rest in between. This can be the hardest thing of all as we want to take the whole house with us so we are completely prepared. I always pack the kids clothes first, check the weather and be prepared for that weather to be wrong too! Then I pack their essentials like toothbrushes, soaps, diapers, wipes, etc. Note though if travelling far these can get heavy in your suitcase and take up your allowance quickly. Use travel size ones and you can always purchase more when you land. When we travel to France which is quite often we always stay near a little shop so we tend to buy all our essentials like this when we get there. Leaves more room for clothes, baby blankets, few favorite toys and entertainment and medicine! Don’t rely on the country you are going to for children’s medicines. It could be different or they might not have something equivalent. Always check passports when you book your holiday. Children’s passports could be out of date. Most family friendly hotels will have the majority of cotbeds, sterilisers, bath toys, microwaves and fridges and a shop nearby to buy snacks, milk, and other child necessities. You can also pre-order formula to the store Boots in the airport so they will have it ready after you go through security for long haul flights. As parents we always pack way too much and leave no room for souvenirs. When it comes down to it one warm outfit and one cold outfit and their favorite toy you really can’t go wrong! Definitely take a rucksack for them to carry with their own toys, books, coloring essentials, water bottle and a snack. Don’t let them pack this themselves. Make sure you always have one extra outfit for each child and yourself. Trust me, it’s happened a million different ways to me; having to change my own clothes. I always put all our passports in a zip lock bag with a pen and our health cards too. It’s safe and easy to reach place in my carryon. They will eat and drink more than normal so be prepared for this. You can pre-book child friendly meals for the flight as most kids aren’t too keen on what adults are being fed. Bring non-noise toys that will entertain but think carefully what you select. Cars and balls tend to end up on the floor and roll to the back of the plane leaving your child screaming. Small books are great and for older children, coloring an writing untensils are good too. I always bring child friendly headphones so they can watch movies too if they are available. Small children aren’t able to put those little earphones in their ears as they are too small so it’s nice to get a cheap pair of child friendly ones before you travel. Never plan anything on the first night if you are arriving in the afternoon. Travelling takes a lot out of children and getting into a little holiday routine never hurt. You can make up for it the next day. Get settled into your hotel and it gives you time to scope out local shops nearby for essentials and possibly give time for the reception to accommodate anything extra you may need or wasn’t in your room upon arrival. The hard work is done now enjoy your holiday. With ourholidays to Spain & France just around the corner, I will be sure to follow my own advice here to make those holidays to remember. Travelling with children doesn’t have to be difficult when you are prepared and at ease. Obviously some things are out of our control but for the most part when planning a perfect family holiday take the time to be prepared for anything, children really do have a mind of their own! Oh that’s amazing. I have blogged a lot over the last year about packing and how to fly with a baby and toddler and other useful lists. Good luck. I look forward to reading about your first adventure abroad together. Great post, especially the tip about bringing an extra change of clothes FOR YOURSELF on the plane. I think most moms will remember to bring a change for their kids, but there’s really no end to the ways that a child can get both of you dirty in a hurry. Yes thank you! Everyone always thinks about the kids and I have been on way too many flights covered in poo, puke, spit up, and spilled this or that. hahaha TMI I know. But true.